Karnak is a member of the Inhuman Royal Family. He is King Blackbolt's cousin and serves as the chief strategist, planner and philosopher. Karnak is uniquely qualified to be a strategist as he has the special power to find the weak point in any person, plan or object. His power makes him a very deadly martial artist. Karnak is unique amongst the Inhuman Royal Family in that he did not undergo terrigenesis to receive his powers like the other Inhumans. When Karnak's older brother Triton was exposed to terrigenesis he became monstrous in appearance. His parents feared that Karnak too would become monstrous when exposed. Instead, they sent him to a monastery to study the ways of the mind. It is through his intense training and meditation that Karnak has gained his martial arts skills as well as his weakness finding power. Karnak's power has allowed Blackbolt to gain strategic advantages and win in battles against super powerful foes like the Hulk and Vulcan. Bizarrely Karnak recently committed suicide in the Inhumanity storyline by throwing himself out of a window. This occurred after Attilan crashed into Earth and was destroyed. Before he left he told Medusa now leader of the Inhumans that she must forget what she knows to prepare for the coming cataclysm. Karnak finds himself with other old Inhumans in the mind of NuMan Lineage. 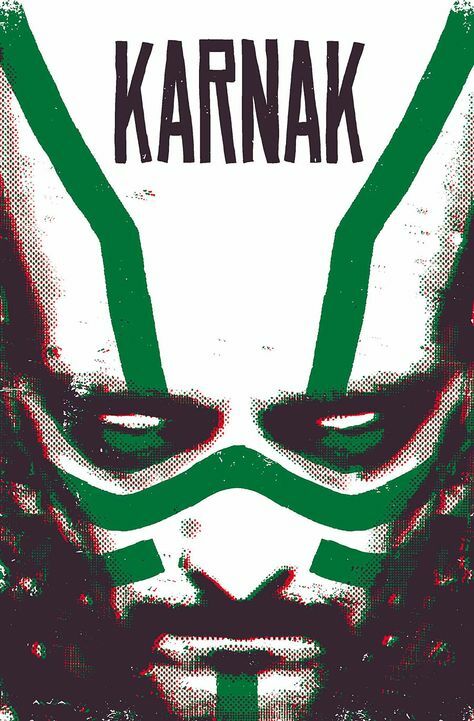 Lineage is connected to all of his Inhuman ancestors of which Karnak is one. Karnak sees that Lineage plans to betray Queen Medusa and decides to fight his way out. He ends up battling his way through Lineage only to come exploding out of his chest. This action seemingly kills Lineage. He apologizes to Queen Medusa for leaving her at a critical time. Karnak can find the weakness of any person, object, or plan. He is also a master martial artist. His martial artistry is enhanced by his power. He is able to strike both at body and mind using his Power. He can also see the flaws in every style of martial arts and exploit those weaknesses. 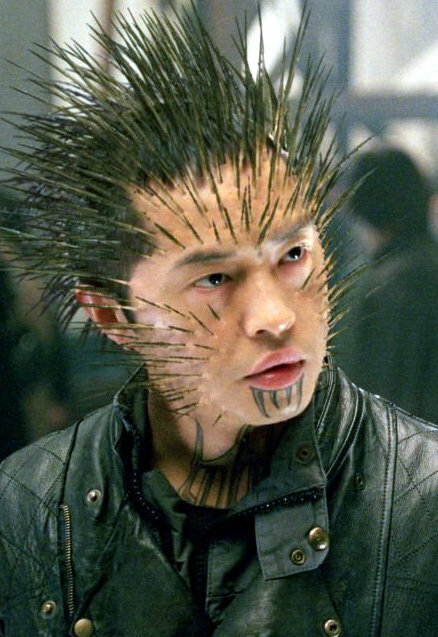 Karnak will be played by actor Ken Leung in the Inhuman TV series. Ken has had many roles that you might know him from he was Kid Omega in X-Men the Last Stand, he was also in Lost, Deception, Person of Interest, The Night Shift and had a role as Admiral Statura in Star Wars: The Force Awakens. He has also been in the films The Family Man, Red Dragon, Shanghai Kiss and Keeping the Faith. 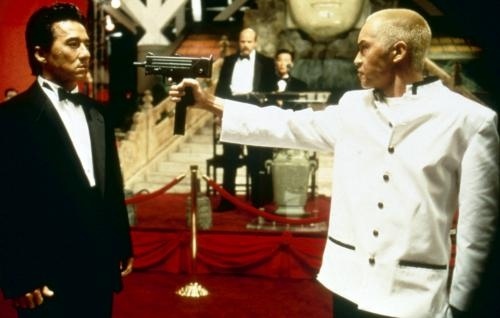 I think of all of his roles I remember him most as a blonde henchmen Sang in Rush Hour. This was when Ken was pretty young and his first major role. He was a martial arts bad boy in the role and I think those skills could translate well into this role of Karnak. Edward Norton worked with Ken on Keeping the Faith where he praised Ken by saying, "You sense hidden levels within him and he conveys an intensity of mind. I don't think anybody's tapped his full range yet."